As autonomous cars are becoming a reality, auto industry leaders are turning to the aviation industry to figure out how to make the self-driving experience as safe as possible. While this might sound strange at first, remember that pilots have been successfully using autonomous technologies for decades before self-driving cars were a reality. As auto-pilot became more commonplace, airplane fatalities dropped from an average of 1,700 fatalities in the 1970s to less than 500 fatalities per year in the 2010s. Auto leaders want to replicate this successful integration of autonomous technologies onto America’s roadways. Since human error is now responsible for about 90 percent of all auto accidents in the USA, it’s unsurprising many people believe more autonomous functions could have a positive impact on driver safety. When looking at how the aviation industry is structured, road safety experts want to increase the power that agencies like the National Highway Traffic Safety Administration (NHTSA) have over enforcing and setting safety standards. Currently, the NHTSA’s main power lies in its ability to issue recalls after a defect has been spotted on the roads. Car manufacturers are supposed to self-verify they are meeting federal safety standards. The safety standards now on the books, however, only examine how a car performs when involved in a crash. Organizations like the NHTSA and the Insurance Institute for Highway Safety have yet to put together a set of standards for how safety systems should operate under normal driving conditions. A set of shared standards on user interface will become increasingly important as autonomous technologies enter the auto market. The airline industry, by contrast, has strict standards when it comes to certifying different airplanes. Before planes are allowed to fly commercially, the Federal Aviation Administration (FAA) must give its full approval. Many auto leaders are now encouraging the Department of Transportation to foster dialogue between the FAA and NHTSA to better understand how to effectively transition from manual to autonomous vehicles using new safety standards. These discussions could avoid many tragic accidents on America’s roadways. One new design change auto leaders hope will make the transition to autonomous vehicles smoother is replacing current dashboards with an interactive computer screen. Not only will this screen display all the vital information, but it will also help drivers better understand the difference between semi-automated and fully automated functions. People in the auto industry believe these new hi-tech dashboards represent a new breed of safety systems in automobiles. Experts term this new fourth wave of safety innovations “autonomous” in contrast to the “passive” and two iterations of “active” systems that preceded it. Basically, passive safety systems refer to any design feature that protects drivers after getting involved in a collision (e.g. seat belts, crumple zones, collapsible steering wheels). On the other hand, active systems are intended to prevent crashes mainly through the use of sensors. Key innovations in the early years of active safety systems include airbags and anti-lock braking systems. Around the year 2005, however, active safety systems utilized the latest advances in computer technology to constantly scan around the car. Some of these new active safety systems include blind-spot detection, automatic braking, and forward collision warning. Lastly, we reach the autonomous safety systems, which are designed to help the driver safely give over control to the vehicle. Using these autonomous safety systems, the driver should feel comfortable allowing a vehicle to self-drive, auto-correct cruise control, or self-park. These safety features will also alert the driver when s/he needs to take over control of the vehicle. Simply because a vehicle has autonomous features doesn’t mean the driver can totally take his/her eyes off the road. Autonomous technology is still in its infancy, and these new safety features are primarily designed to communicate between the driver and his/her car so they don't cause a crash. 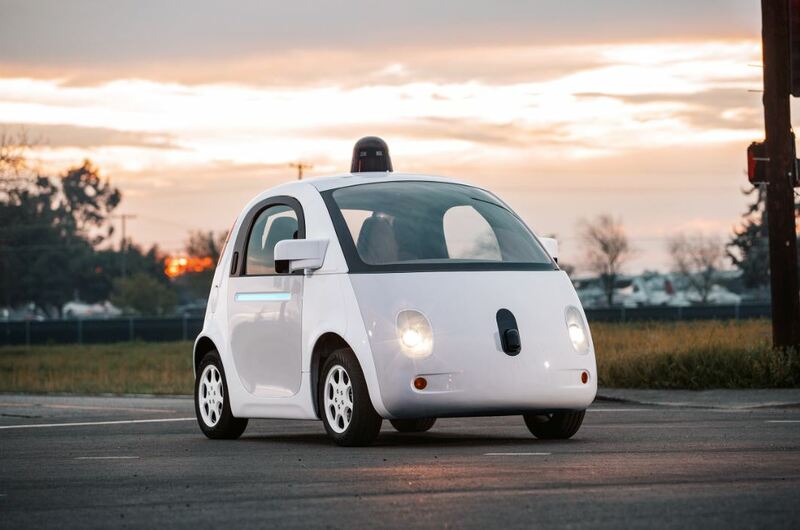 Injury lawyers are already waiting for said autonomous car accidents to occur. One challenge for autonomous driving cars versus planes, however, is that car drivers have a greatly reduced reaction time. Pilots usually have minutes to avoid hazardous situations while in auto-pilot, but drivers have to react within milliseconds to avoid potentially fatal collisions. This issue of reaction time will be of major importance when designing new computer dashboards. The computer dashboard is just one tool car makers could use to help keep drivers focused on the roads. Hopefully, car companies and safety leaders will learn more from the history of auto-pilot to make the transition to all autonomous vehicles a safe experience for everyone on the roads. While the safety results on the road may be mixed for a few decades, autonomous vehicles will become increasingly common in the ensuing decades. Many industry leaders are optimistic that car automation will solve more problems than it will create, especially if they take the time to learn from recent aviation history.